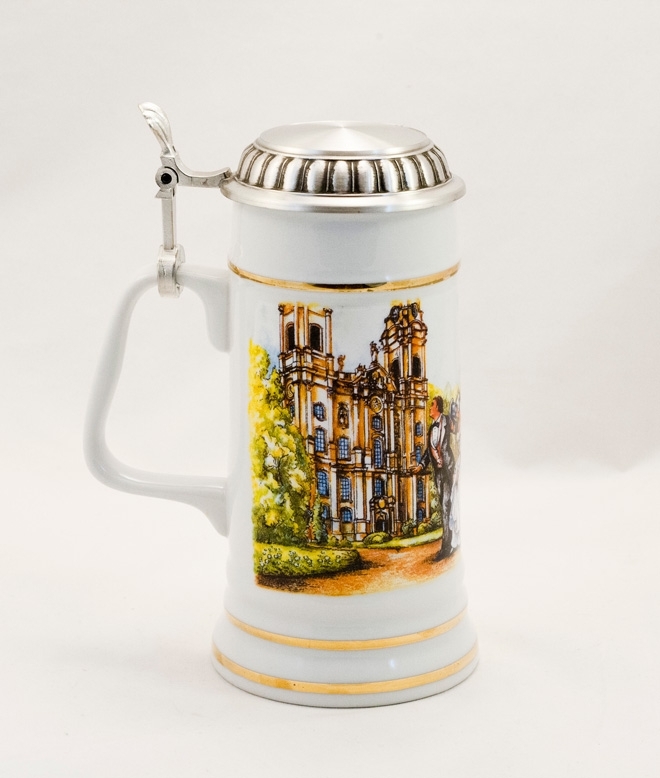 A detailed wrap around decal which features blooming lilacs, a wedding chapel, a wedding coach and doves envelopes this stein. 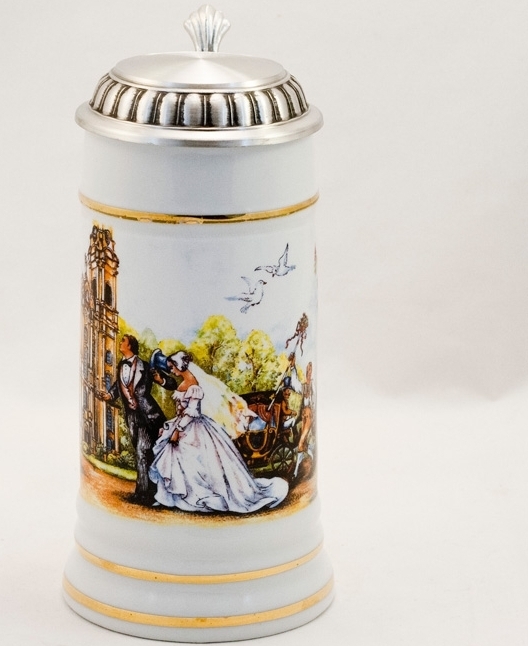 There is even a town crier announcing the wedding. 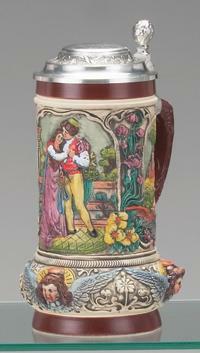 This romantic stein has a lithophane bottom providing a glimpse at the nostalgic scene of a man giving a woman flowers. 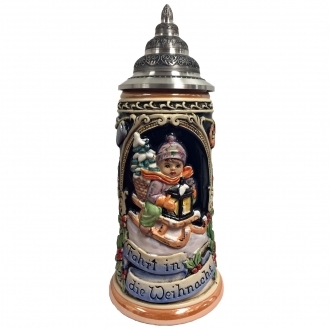 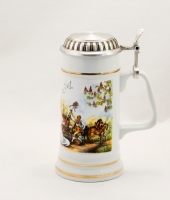 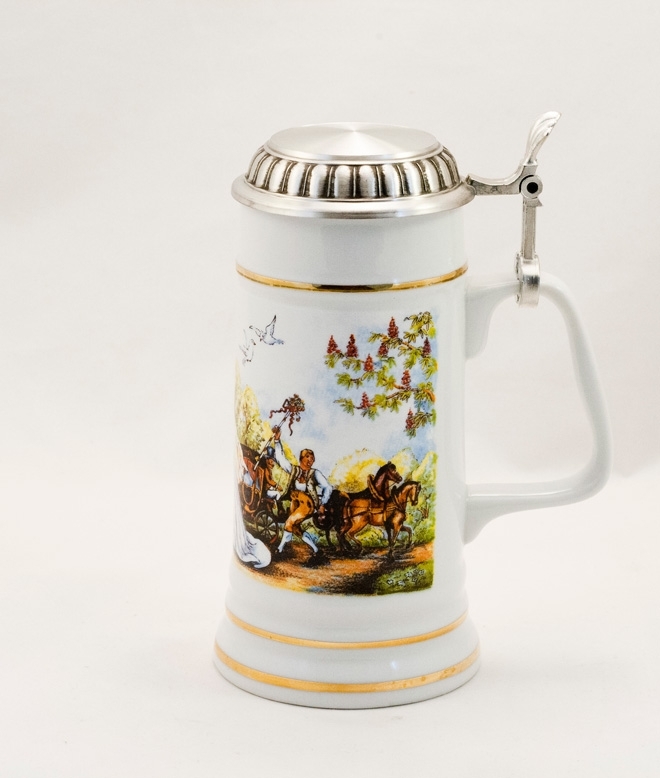 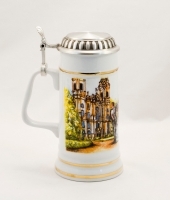 For the final touch, the stein has an engraveable lid attached with a threaded hinge pin that can be loosened to allow the lid to be removed and reattached for ease in engraving.